Alternative ways to track time - CounterCultural. CounterCouture. Recently I have seen countless watches all over the place, from blogs to magazines and even the local charity shops. And as I work in a job that involves visitor interaction continuously, there is a strict no mobiles policy so keeping track of the time without a watch is somewhat tricky. These two factors have combined to make me go slightly watch crazy. So I automatically turned to ebay for inspiration. However, as you’ve probably guessed from the pictures, I’m not after a standard wriststrap watch. When you have a minimum of four cuffs to peel back to look at a watch face, knowing the time suddenly becomes rather impractical. 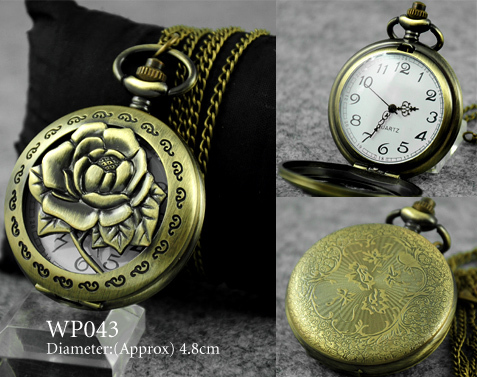 And there is always the “on the edge”, blurred influence that steampunk/gothic subculture has on my wardrobe… So a pocket watch has become both the alternative yet practical solution to my time issues. …Something tells me that I’ve found my watch. But what do you guys think? I’m straying down the wrong path or making a practical choice for a life with too many coat/shirt cuffs?